Dramatic afternoon thunderstorms illuminate Spider Rock in a remote corner of the park. 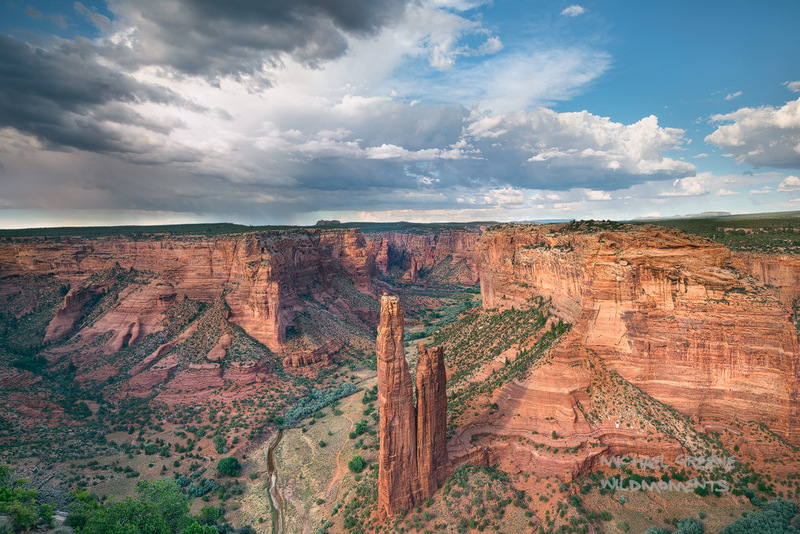 Canyon De Chelley is located near Chinle, AZ on the Navajo Indian Reservation. Photo © copyright by Michael Greene.